Bengaluru, India, May 10th, 2018: – Lymbyc Solutions Pvt Limited, one of the country’s leading-edge innovator and Artificial Intelligence-based analytics solution provider, today announced that it has partnered with Larsen & Toubro Infotech (LTI), a leading global technology consulting and digital solutions company. The two companies signed a Memorandum of Understanding to tap the growing shift in market demand from an IT-led, system of record reporting to business-led, agile analytics, including self-service. The partnership will focus on enabling analytics solutions and digital transformation initiatives of global customers through jointly developed industry-focused offerings. They will together deliver AI-powered, unique, end-to-end real-time solutions across sales, marketing, and commercial operations across business verticals such as Pharma/Life Sciences, CPG, media & entertainment, retail/e-commerce and consumer banking. Lymbyc, with its cutting-edge AI Insights Platform, hopes to leverage LTI’s offerings in the cognitive analytics space and their Mosaic big data platform to fulfill the organization’s requirements for accessibility, agility and deeper analytical insight. 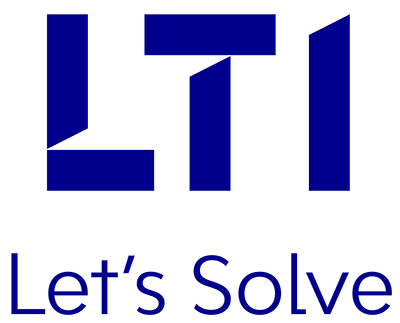 LTI is present in 27 countries across the world and has helped over 250 clients in converging their physical and digital worlds, while Lymbyc has several clients across India, the US, the UK, Singapore and the Middle East. Self-service analytics and Business Intelligence will produce more analysis than data scientists. By 2020, the number of users of modern business intelligence and analytics platforms that are differentiated by augmented data discovery capabilities will grow at twice the rate – and deliver twice the business value – of those that are not, according to Gartner. It also forecasts that predictive and prescriptive analytics will attract 40% of enterprises’ new investment in Business Intelligence (BI) and analytics, which means that the enterprises will spend more on AI-driven data science platforms compared to traditional BI.